Say 3 Cheers to Florida Property! Click photo, see Professor Real Estate®TV Episode 3 Cheers for Florida Property! Filmed on site at U.S Boat Show in Miami Beach! Watch till the end to Vote in the poll! Suzanne Hollander, real estate broker, commentator & attorney shares 3 Cheers for Florida Property Ownership! Cheers! #3 – The Florida Sunshine! Florida’s Sunshine & warm balmy weather attracts everyone to buy a Florida property! If you were here, you wouldn’t be shoveling snow and remember Suzanne only visited the Ice for a vacation! 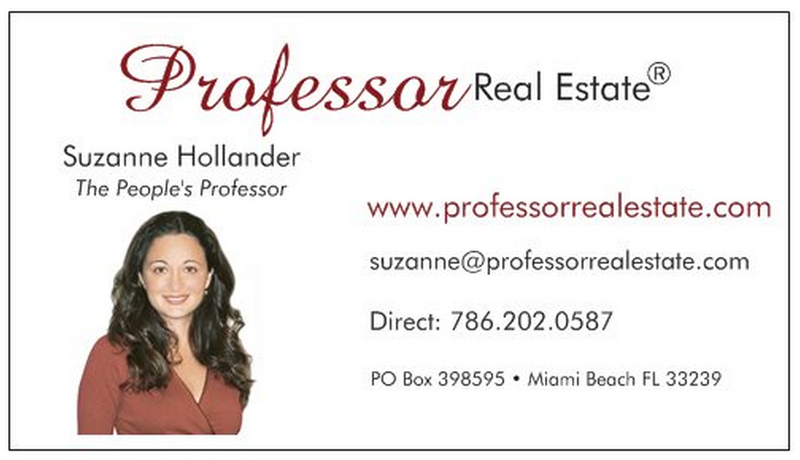 Contact Professor Real Estate® Suzanne Hollander for real estate coaching and training! She motivated and empowered 1,000s of clients, students and followers and she can help you meet your real estate goals! > Buying Real Property > Say 3 Cheers to Sunny Florida Real Estate!